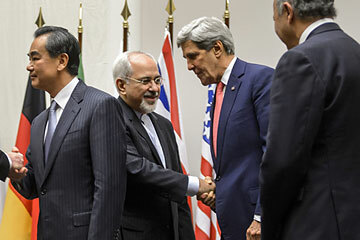 The opposition to the new agreement on Iran's nuclear program has been predictable but still puzzling. Here's what would have happened had there been no deal: Iran would have continued to build up its nuclear program, with no constraints or inspections. We don't have to imagine that scenario; it's happened before. In 2003, Iran approached the U.S. with an offer to talk about its nuclear program, among other issues. The Bush Administration rebuffed Tehran because it believed that the Iranian regime was weak, had been battered by sanctions and would either capitulate or collapse if Washington just stayed tough. It's true that Iran today is under tough sanctions, but it was under wide-ranging sanctions then as well. In addition, its nuclear program faced constant sabotage by Israeli and Western intelligence agencies. And yet the number of centrifuges grew exponentially. The fact is that over the past decade, Iran has developed serious technical know-how in nuclear energy, with thousands of scientists and experts. And for an oil-rich country, the costs of a nuclear program are relatively modest. Iran's annual oil revenue, even under sanctions, is about $69 billion, according to an estimate from the U.S. Energy Information Administration. The Geneva accord provides an opportunity to test Iran's intentions, one that had to be taken. China and Russia had signed on to the U.N. sanctions as a means of getting Iran to negotiate seriously, but once Iran was doing so, they would not continue to support punitive sanctions against it in perpetuity. Israeli prime minister BIBI Netanyahu announced his opposition to the deal instantly. And yet nothing his government has done in a decade has stalled any part of Iran's program, whereas the Geneva deal freezes most of it and actually reverses one key element--the stockpile of near 20% uranium, which Tehran has committed to diluting or converting in a manner that prevents enrichment to the 90% level required for a nuclear bomb. Netanyahu's approach seems to be a reprise of the Bush approach. He assumes that Iran is headed for collapse or capitulation, despite no evidence of either. (Remember, the Islamic Republic withstood eight years of bloody war with Iraq without surrendering.) Or else he believes that a military strike would set back Iran's nuclear program for long enough, and then there would be a regime change. This is wishful thinking, not strategy. The concerns of the Gulf states--Saudi Arabia and the United Arab Emirates, in particular--are not as clearly articulated, but they are also deeply felt. Yet, again, it's unclear how not doing this deal would address their security concerns. So what explains the fevered rhetoric and opposition? I think the fear is less of this deal than of what it might bring in its wake. Many imagine that this is the start of a rapprochement between the U.S. and Iran, which would fundamentally change the geopolitical landscape. It could place the U.S. on the side of the Shi'ite powers, Iran and Iraq, in the growing sectarian divide in the region. It could alter the balance of power in the world of oil--Iran's reserves are second only to Saudi Arabia's in the region.